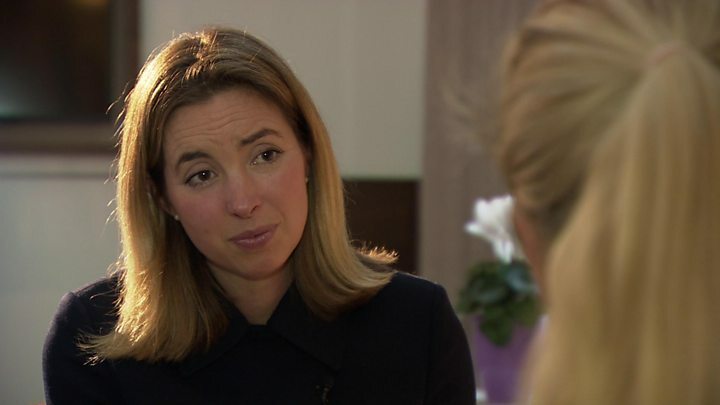 The Archbishop of Canterbury has apologised "unreservedly" after claims of physical abuse by a former colleague were not reported for over 30 years. 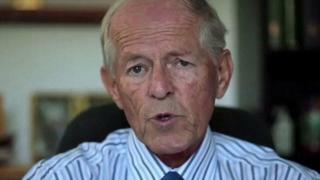 Channel 4 News alleges 22 boys were beaten by former Christian charity head, John Smyth QC in the 1970s. The Most Reverend Justin Welby worked at the charity's summer camps where the public school boys were said to have met Mr Smyth, but said he was unaware of the allegations until 2013. Mr Smyth said he would not comment. One of Mr Smyth's daughters, who asked not to be named, told the BBC she would "always love" her father, but if the allegations were true "he will have to face justice". "That will be painful for everyone involved," she said. "But I believe strongly in justice and would want that for someone who had done that to my child or my brother or my friend." She added that teenage boys were "often" at their family home for barbecues and pool parties and she never saw any abuse. The archbishop said he was unaware of any claims until the police became involved four years ago. He said he was friends with Mr Smyth when they worked together at the camps but had then left England in 1978 to work for an oil company in Paris for five years. He told radio station LBC: "I never heard anything at all at any point, I never had the slightest suspicion that there was anything going on." He said he remembered Mr Smyth at the time as "a charming, delightful, very clever, brilliant speaker", but said they were not close friends. "I went off to work in France in 1978, which is when I understand, I'm told the abuse began. It may have been earlier or later, I don't know, and I was abroad during the time that the report was done and had no contact with them at all." The alleged assaults came to light in the early 1980s after one of the victims, a 21-year-old student at Cambridge University, reportedly attempted to kill himself after he was told to submit to another beating. A report by the charity, the Irwerne Trust, in 1982 called the practice "horrific" but the claims were not reported to police until 2013. A vicar, Mark Ruston, carried out the report for the charity, which has now been seen by Channel 4 News and the Daily Telegraph. It reported that after identifying the boys, mostly from public school Winchester College, Mr Smyth took them to his home in Hampshire and carried out lashings with a garden cane in his shed. It said eight of the boys received a total of 14,000 lashes, while two more received 8,000 strokes between them over three years. Victims told the investigation they had to wear nappies to let their wounds heal and were left with lasting scars. However, the police were not called by either the charity or the schools involved, the report remained private, and Mr Smyth was told to leave the country - he now lives in South Africa. One of the alleged victims complained to the Church again in 2013 and it was only then referred to the police. When approached by Channel 4 News about the claims Mr Smyth said: "I'm not talking about that. I don't know anything about that." In a statement, Lambeth Palace said the Archbishop's Chaplain showed Mr Welby a letter that had been written by the Bishop of Ely in August 2013 to the Bishop of Cape Town, referring to "concerns" expressed by "an alleged survivor" after the police were informed. It also said that while the archbishop knew Mr Smyth had moved overseas, he did not keep in contact with him, "apart from the occasional card". "We recognise that many institutions fail catastrophically, but the Church is meant to hold itself to a far, far higher standard and we have failed terribly," added the statement. "For that the Archbishop apologises unequivocally and unreservedly to all survivors." The Titus Trust took over the Iwerne Trust in 2000 and said it was only informed about the allegations in 2014. It then submitted a serious incident report to the Charity Commission and provided full disclosure to the police. A statement from the organisation said: "The allegations are very grave and they should have been reported to the police when they first became known in 1981." Winchester College told Channel 4 News that it "deeply regrets the terrible ordeals of the victims and pays tribute to their courage in speaking out". However, it said it did not contact the police after consulting parents. "No report was made to the police at the time, not least because, understandably, parents of the victims felt that their sons should be spared further trauma, and these wishes were respected," it said. Graham Tilby, the Church of England's national safeguarding adviser, said the abuse should never have happened, adding: "We utterly condemn this behaviour and abuse of power and trust". He said: "Clearly more could have been done at the time to look further into the case. We now have a dedicated central team made up of six full time posts - we will be reviewing all files making further enquiries as necessary. 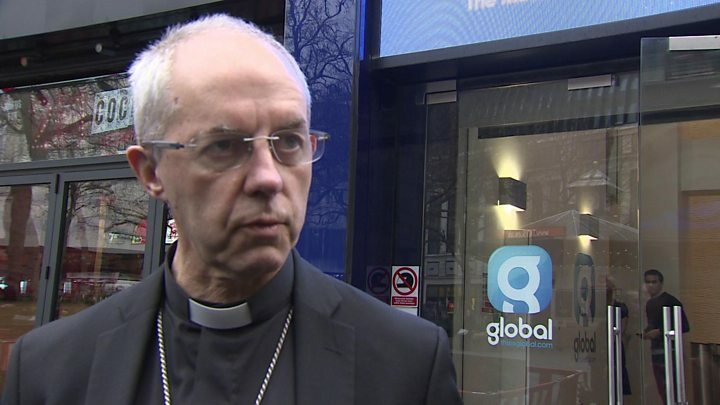 "We echo the Archbishop's unreserved and unequivocal apology to all the survivors and are committed to listen to anyone who comes forward and we would urge anyone with any further information to report it to the police."